Jody's interest in the arts began at an early age. She enjoyed experimenting with a variety of mediums from fabric, sculpture and painting. And, she dabbled in dance, music, sports and catering. 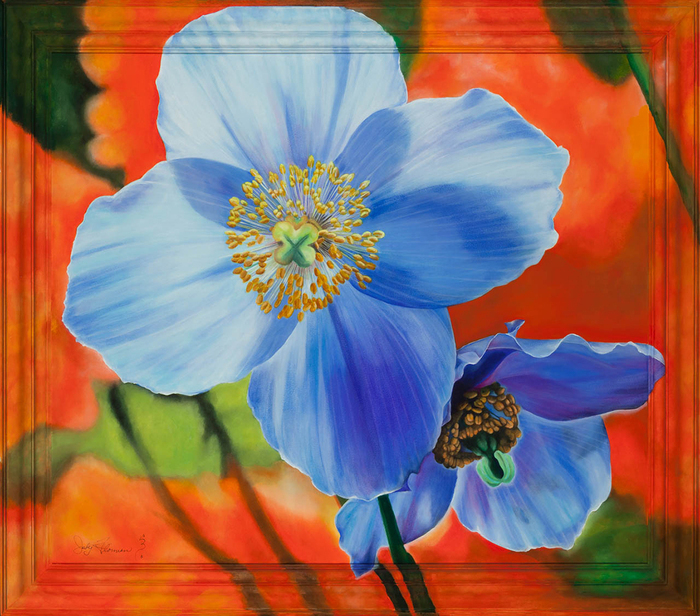 In college, she chose a major in art, focusing on fabric and bronze sculpture, graduating from the University of California at Santa Cruz in1979. After graduation, she worked as a stylist for commercials and department stores then went on to the garment industry as a clothing and fabric designer/merchandiser in Los Angeles, New York and India. Color, texture and form were always a focal point. Moving to London she was a costumer for television, stage and film. Here she was introduced to the decorative arts. Her interest became a passion, then a career. 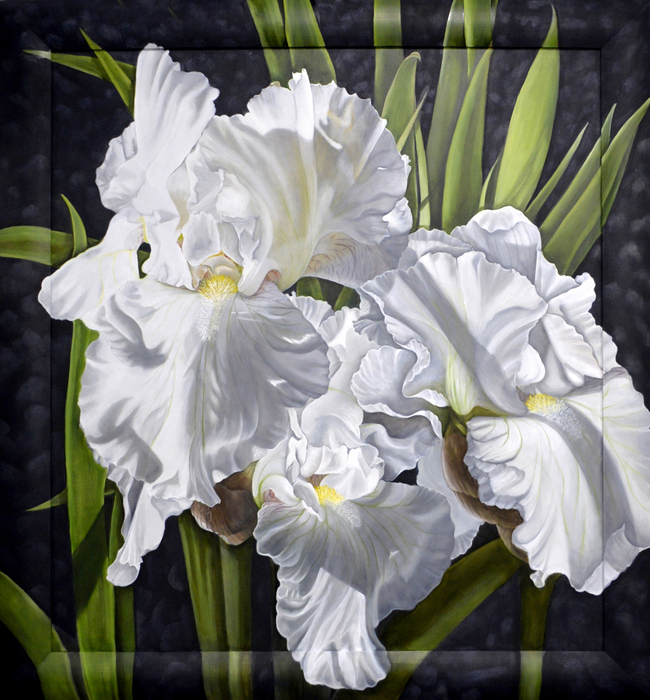 Essentially self-taught, she attended various seminars, developing her talents in faux finishing, trompe l'oeil and mural painting. Over the next few years, she received residential and commercial commissions in London. 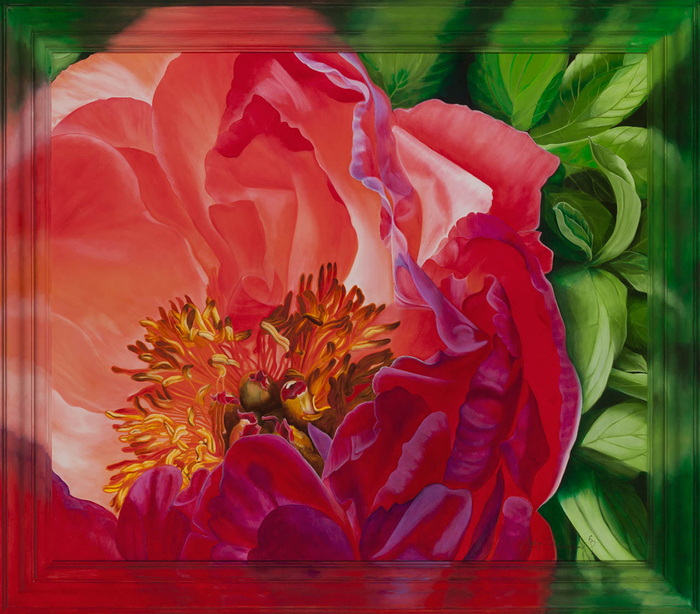 Returning to the United States in the late 80's, she expanded her faux finishing and commissioned painting repertoire in high-end residences and commercial establishments throughout the country. At this point her artwork broadened to encompass her spiritual growth and focus. As Jody delved into her knowledge of self, she realized that she wanted to deepen her knowledge of painting. So, began the journey that started almost 10 years ago and will continue into the future. Most years Jody focuses on expanding her tool box by taking classes from master painters here and in Europe -Robert Venosa, Martina Hoffmann, and Professor Phillip Rubinov Jacobson, Brian Davis, Peter Gric and Koo Schadler- immersing herself in a variety of Old Master’s techniques and in the culture and people who are also drawn to this path of exploration. In many ways, her career as an artist is just starting, though she has shown and sold her work all over the world. 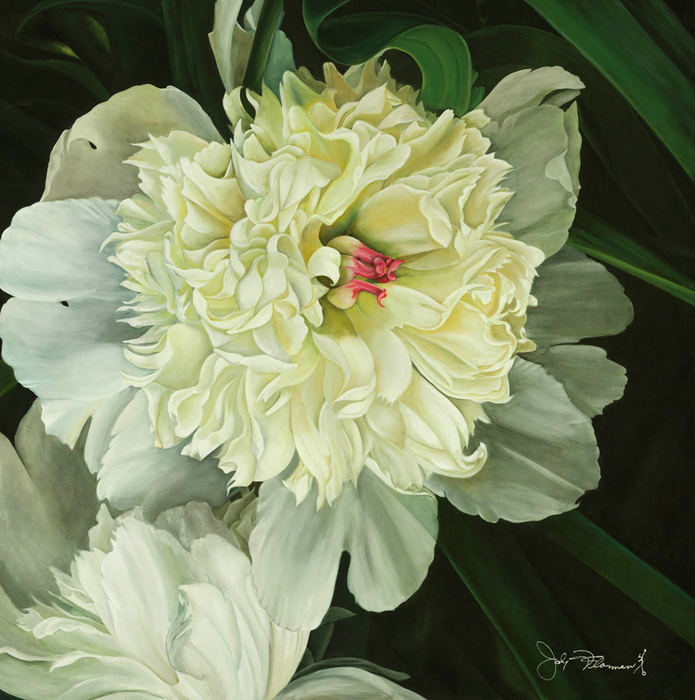 Capturing light in her paintings is an essential quality in Jody’s current work. 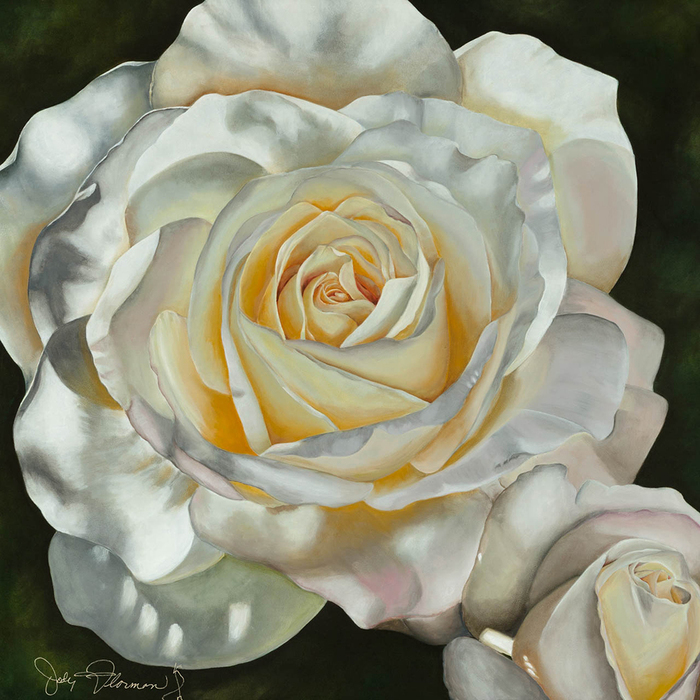 Using flowers and nature as the primary theme of her artwork, Florman’s devotion to the creative process can be seen in how she meticulously captures the luminescence of her subjects. This will continue to be her focus as her creativity ventures into the new avenues she is exploring. Aside from her artwork, Jody enjoys her new business as an interior decorating/design consultant, Art Of Home (ArtOfHome.net), expanding her esthetic and artistic focus into the homes of her clients, helping them create a home that makes them comfortable and expresses who they are. 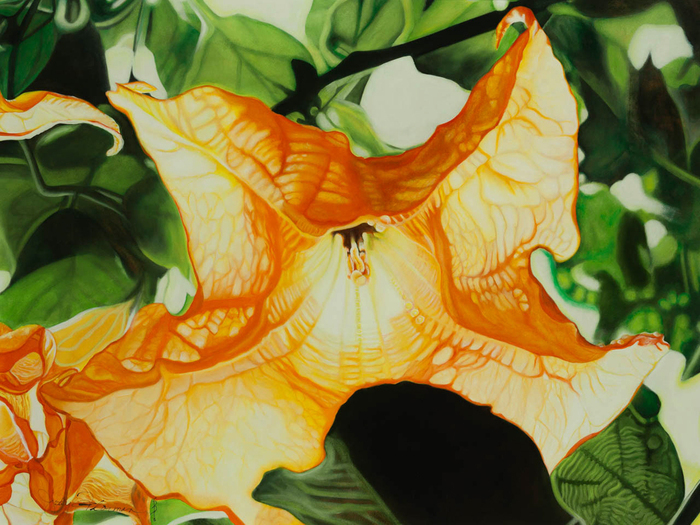 This portfolio portrays a variety of Flowers, the highest expression of of a plant. They are created in one of three styles, all old masters techniques. The aim is to get the painting to "glow". Mixed technique- from the flemish school- egg tempera and oil, Tempera Grasse- from the Italian school- tempera and oil and Value painting- using values of color that, when are next to one another, enhance each other. 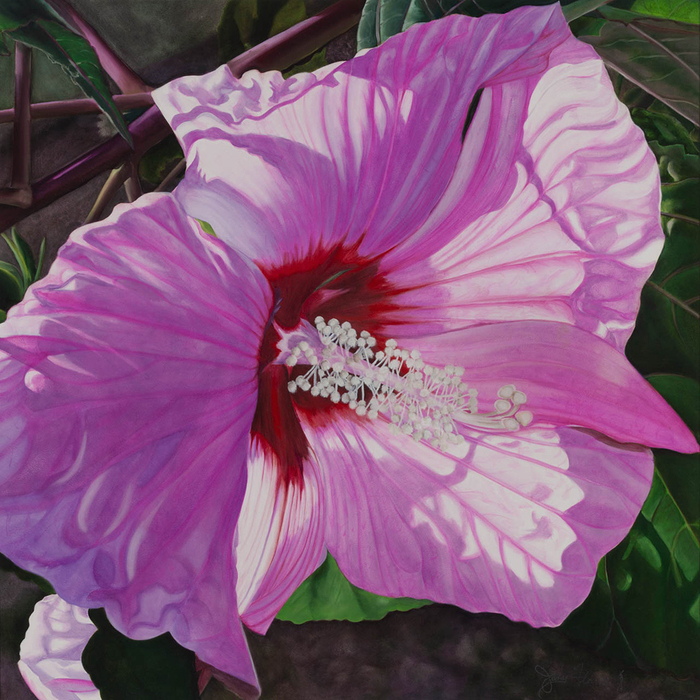 All the flowers are painted from photographs I have taken to use as reference material. Pale pink Cumbrian rhododendron. 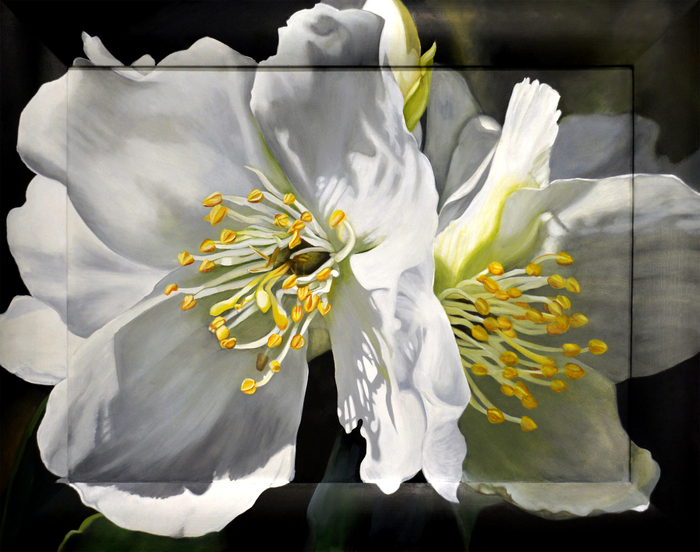 Egg Tempera, tempera grasse and artist oil on hard board, framed 49"x 42"
Pale pink Cumbrian rhododendron. Egg Tempera, tempera grasse and oil on hard board, framed 49"x 42"